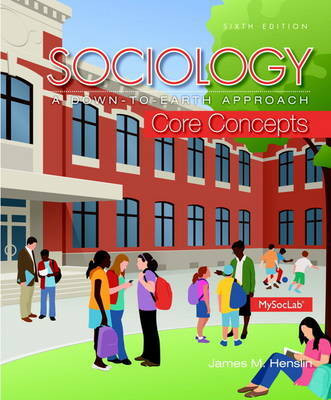 James Henslin shares the excitement of sociology in Essentials of Sociology: A Down-to-Earth Approach, 11th Edition. With his acclaimed "down-to-earth" approach and personal writing style, the author highlights the sociology of everyday life and its relevance to students' lives. With wit, personal reflection, and illuminating examples, Henslin stimulates students’ sociological imagination so they can better perceive how the pieces of society fit together. In addition to this trademark down-to-earth approach, other distinctive features include: comparative perspectives, the globalization of capitalism, and visual presentations of sociology.